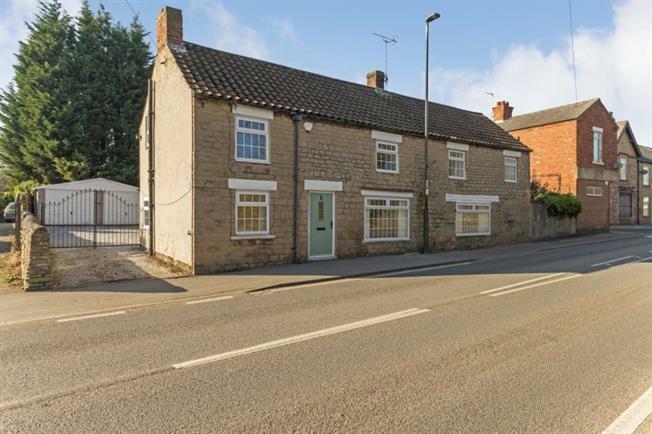 3 Bedroom Detached House For Sale in Worksop for Guide Price £225,000. A generously proportioned 3 bedroom detached cottage with off street parking and garage offered for sale with NO ONWARD CHAIN in the popular residential area of Cresswell. The property briefly comprises of entrance door leads into the entrance lobby providing access into the nice size living room with feature log burner. The kitchen has a range of wall and base units and provides access through to the dining room. Also from the kitchen is the handy utility room with plumbing. Stairs lead to the first floor landing which lead to the three bedrooms with the main bedroom benefitting from the en suite with w.c, wash hand basin and shower. Also to the first floor is the family bathroom with w.c and bath. Please do not miss your chance to view this nicely presented property. Call us on 01246 208768 now.